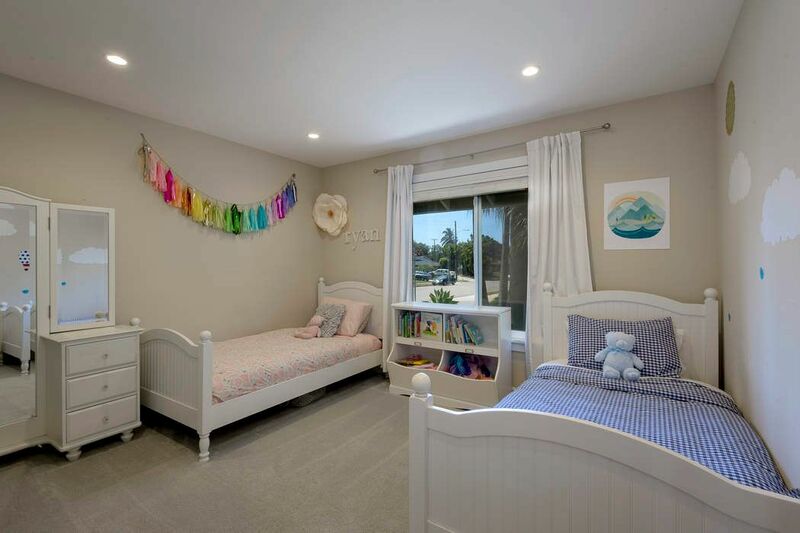 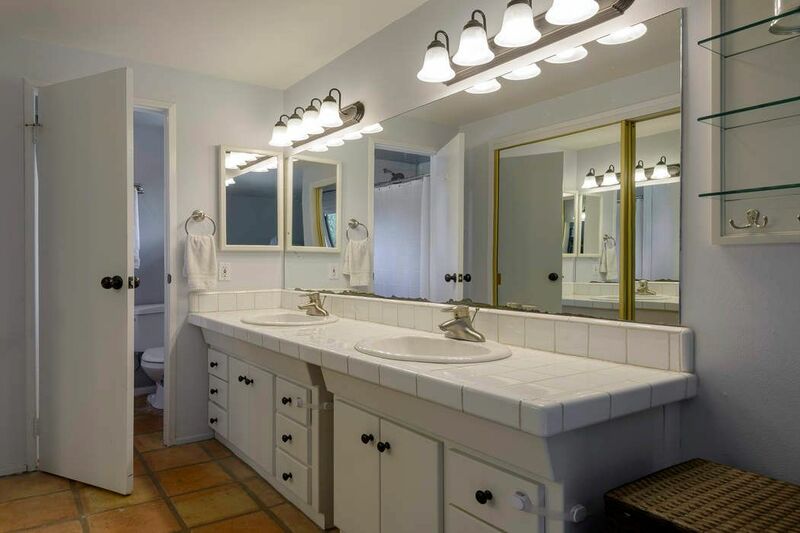 3246 Serena Avenue, Carpinteria, CA 93013 | Sotheby's International Realty, Inc.
$1,299,000 3 Bedrooms2 Full Baths1,400 sq. 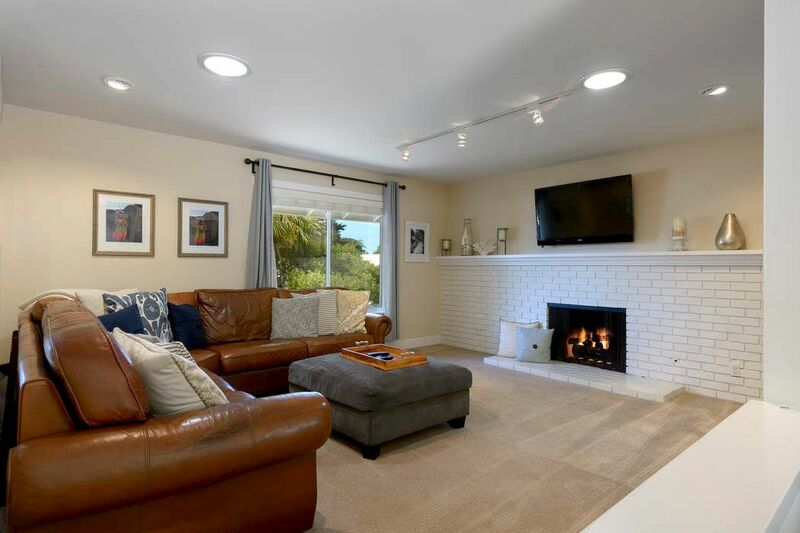 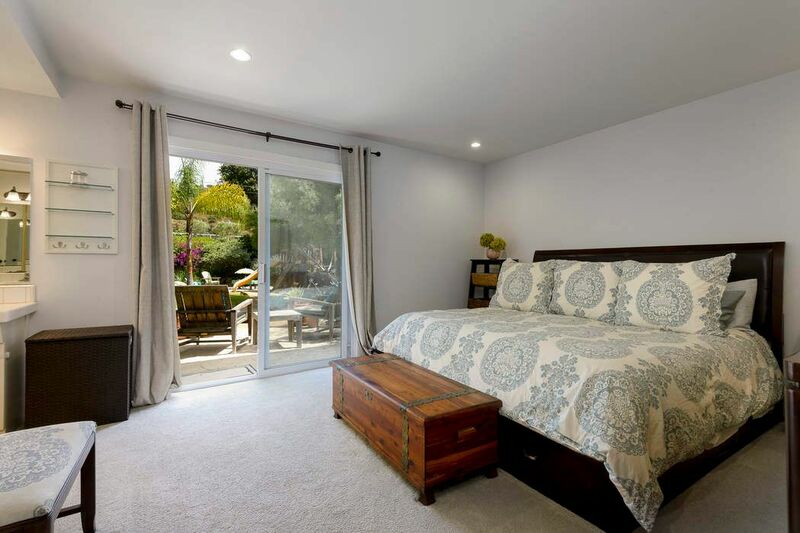 ft.
On a quiet street in Carpinteria’s coveted Serena Park neighborhood of well-cared-for ranch-style homes, this recently and beautifully upgraded residence awaits a discerning new owner. 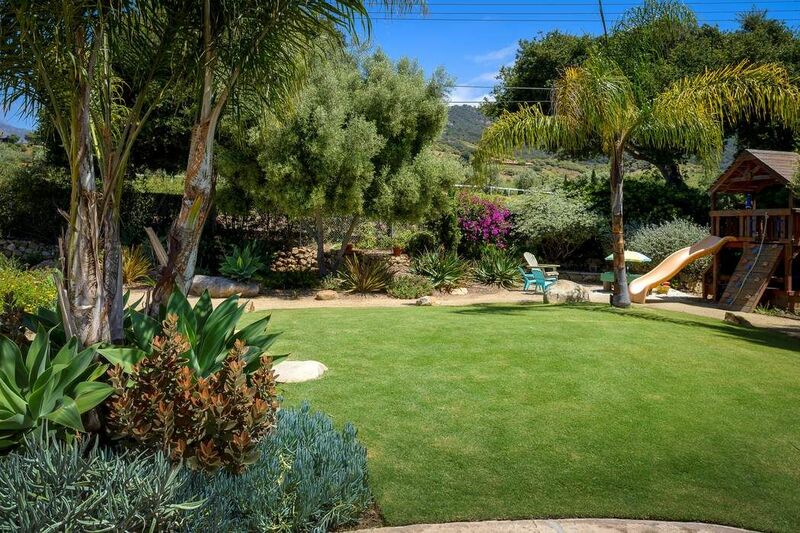 This home rests on a nearly one-third acre corner lot, with mountain views and in a tranquil, intimate setting. 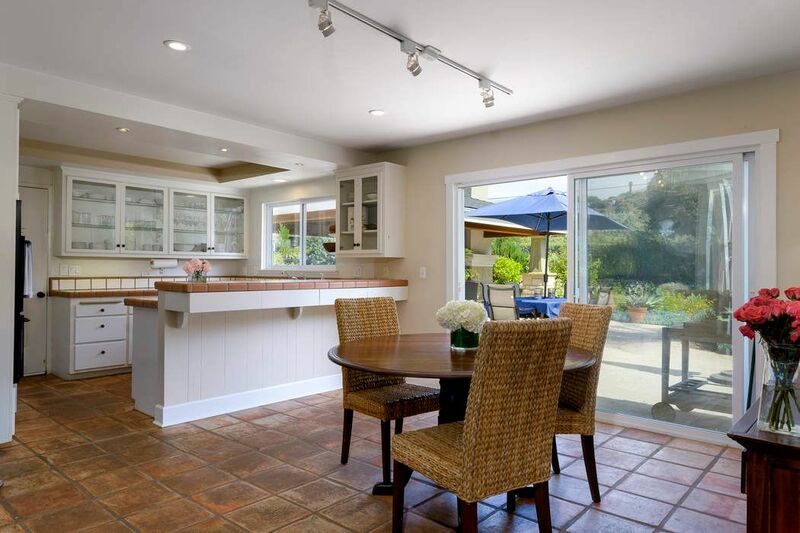 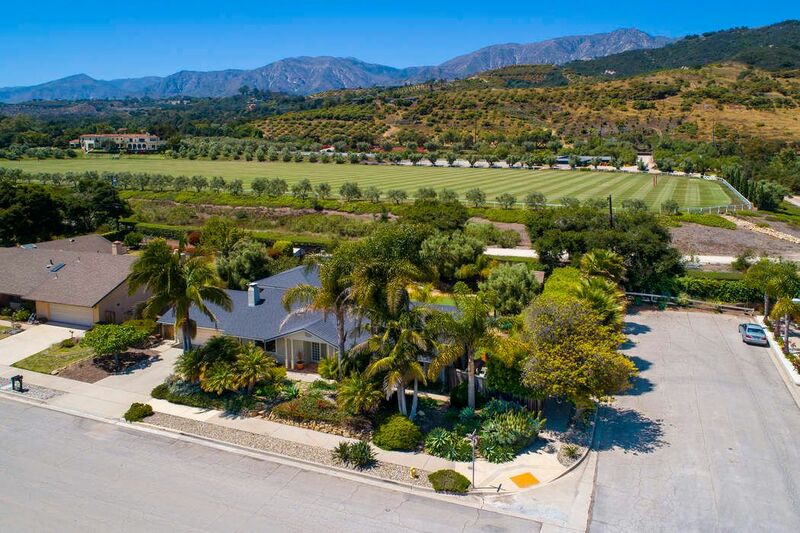 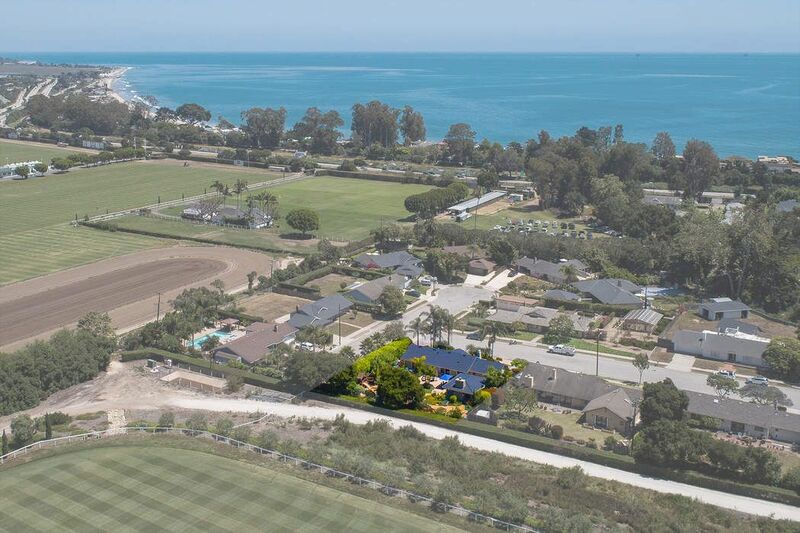 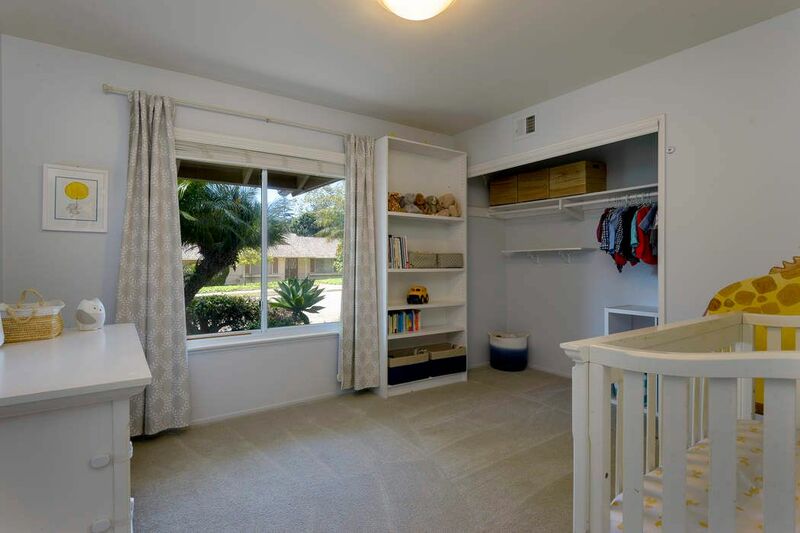 Here, the Santa Barbara area’s renowned indoor-outdoor lifestyle is manifest in the easy flow of interior and exterior spaces, making the home perfect for family enjoyment and effortless entertaining. 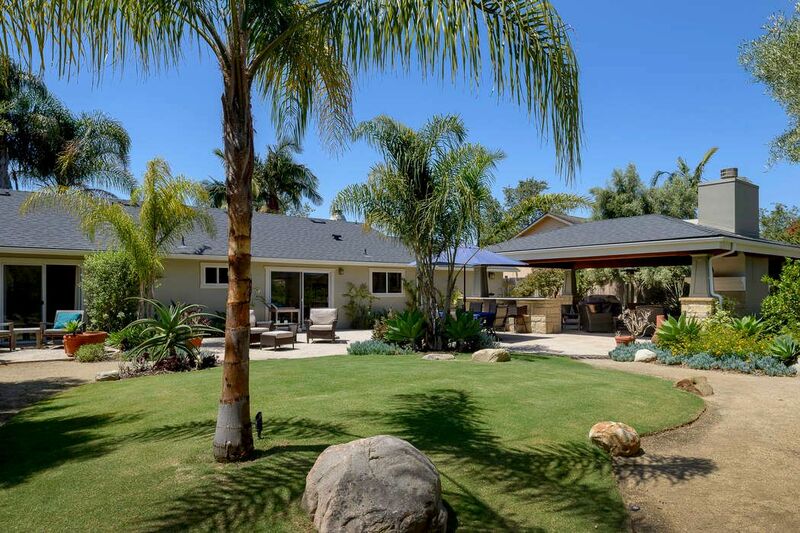 The new roof, doors, landscape, hardscape, and interior and exterior paint, among other refreshments, perfectly complement existing accoutrements and amenities. 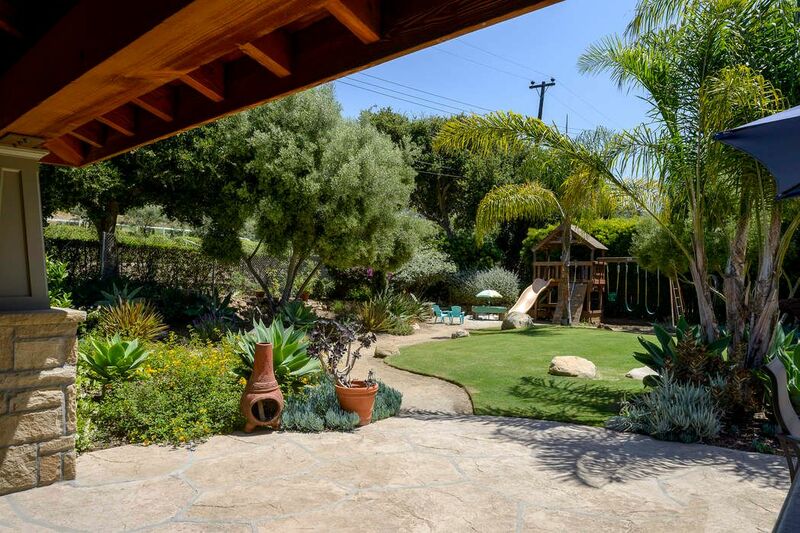 Those amenities include impressive landscaping, beginning with the front yard’s palms and lovely Mission fig tree. 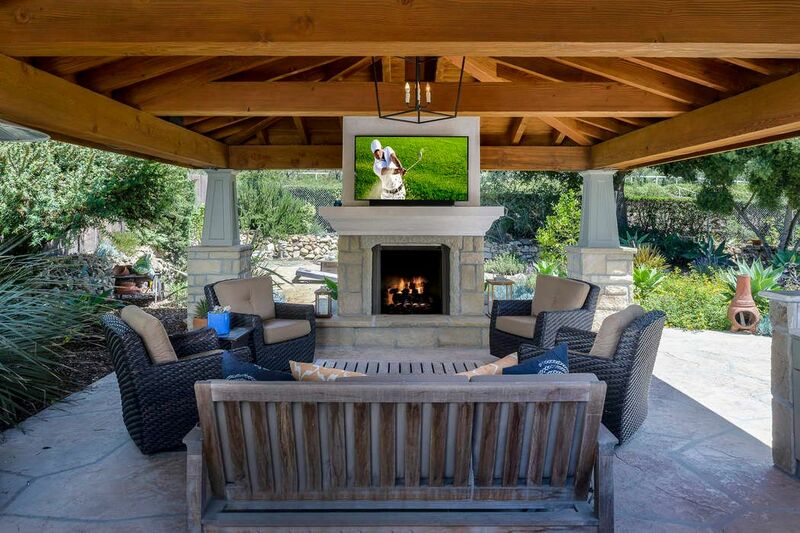 The backyard is a family’s or entertainer’s dream. 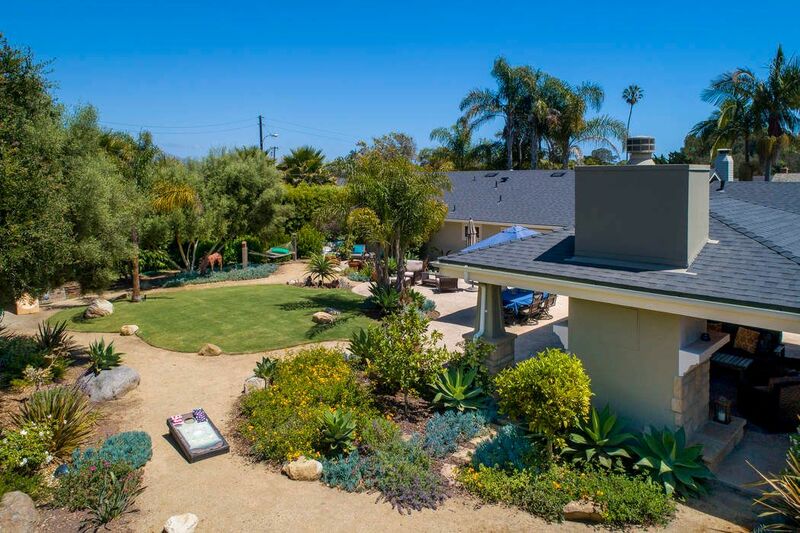 Drought-tolerant flora is highlighted by garden boxes and assorted citrus trees – all nourished by an automatic drip watering system. 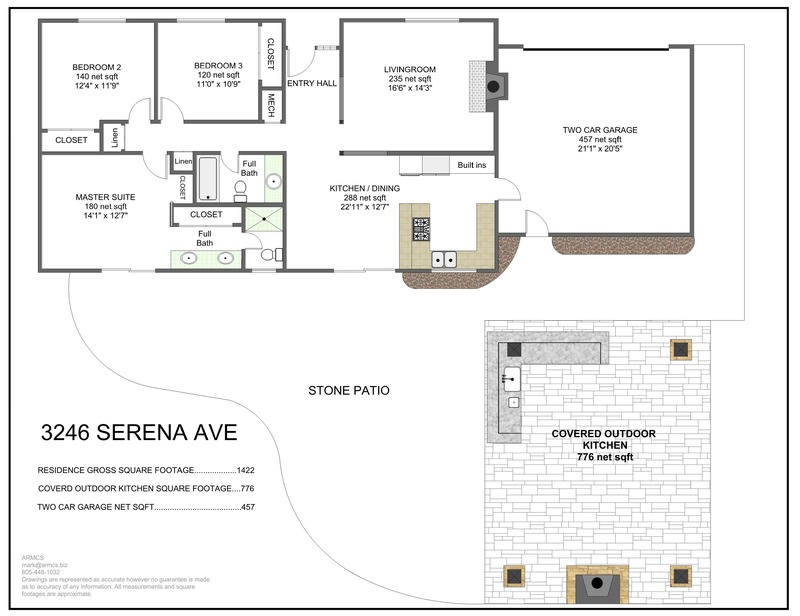 Outside, the beautifully crafted 600 square-foot fully roofed dining room and full kitchen – complete with a fireplace – is a must see! 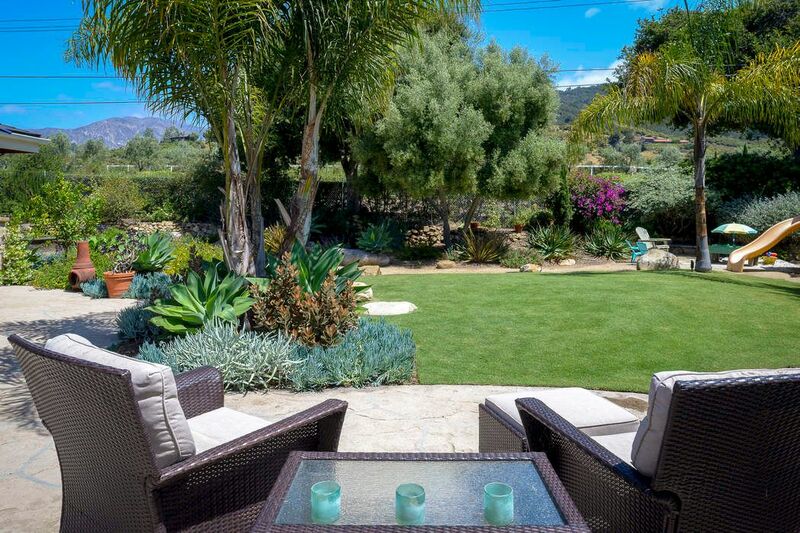 This home is perfect for outdoor dining and entertaining. 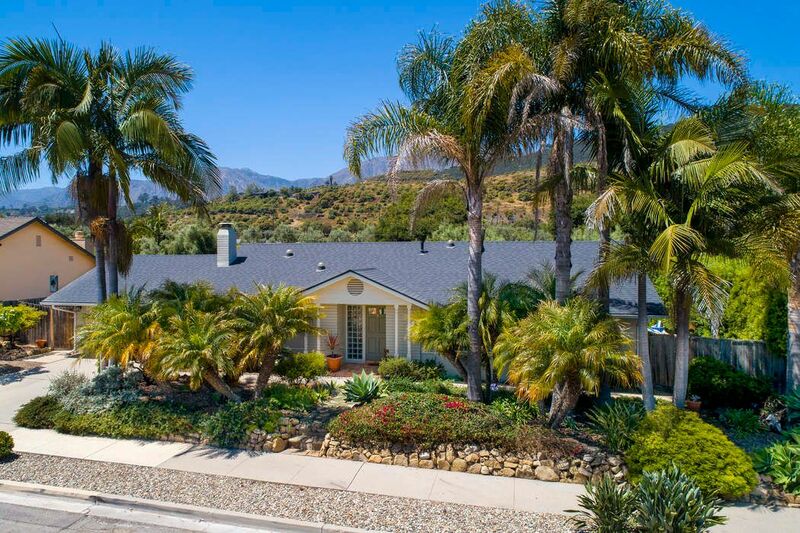 All this, and just a few blocks from Summerland, Padaro Lane, Loon Point and the beach.